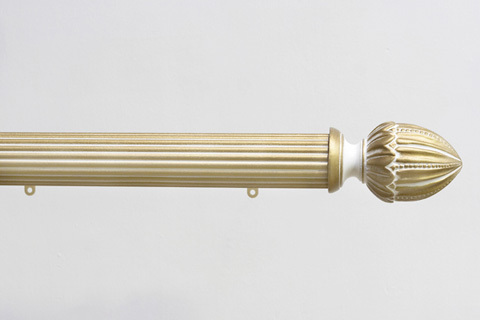 Two colour deco effects as applied to a 51mm diameter reeded wood pole track. In addition to the one colour neutrals and metallics there are 10 standard bi-colour deco colours. This is extended to include any specificed colour. Any 51mm finial (see finial selection) is an option.